Providing Web Design services directly with our clients, we provide measurable and demonstrable business results. We are so confident in our web design and SEO services that we work with you on a month by month basis for web design and seo services. This means you are not tied in to an annual contract. If we are helping your business we continue to work together. If we fail to deliver the level of service you require… you stop working with us, it’s that simple. We have grown to become one of the most well respected web design and SEO agencies in Stockport and Manchester, providing unique solutions to many clients across the region. With your help and input, we carefully research your target market, and that way we are sure we can offer a logical and unique approach to your business’ website requirements. With your assistance we will know your markets, as well as we know our own. We deliver high quality unique and bespoke website design with a flexible content management system. We are creative and can inspire you to put something different in front of your clients that they will be interested in exploring. YOU want someone who understands what you need and delivers it! We work towards the same business goals for your website as you are. We serve a wide variety of businesses. We’ve delivered simple portfolio websites for sole traders, through to complex eCommerce solutions, processing hundreds of daily transactions for large business clients. 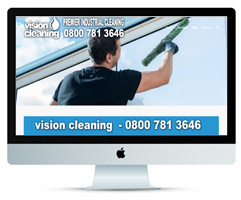 Our fresh approach gives us the ability to tailor your website to the size and aims of your business. Experience and Ability are two of the most important words we use when building your new business website, whether it’s a simple website or an eCommerce on-line store. We don’t waste time and effort with awkward open-source platforms, we use industry standard, global leaders such as WORDPRESS. Every website we build and every feature we include (such as specialist plug-ins, contact pop-ups, special offers, shipping calculations or purchase vouchers) are tailored for your business needs, allowing you to give your customers the best user experience that will encourage them to visit again and again (and recommend you to their friends). If you want a website that offers all this and more, why not give us a call on 0161 871 7441 and see what SPMarketing Web Design can offer for your business. SPMarketing are the best we have tried. 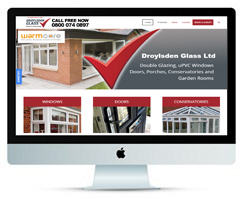 They helped enhance our existing website working together with MercDesign. Excellent service from start to finish and great support throughout the process. We highly recommend them to anyone looking to set up a web site a big thank you to the SPMarketing team. SPMarketing web design service rebuilt our website from the ground up. 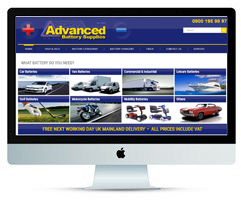 They completely overhauled our existing website working together with our company directors. We went from getting little or no enquiries, to daily enquiries! We highly recommend them to anyone looking to set up a web site a big thank you to the SPMarketing team.